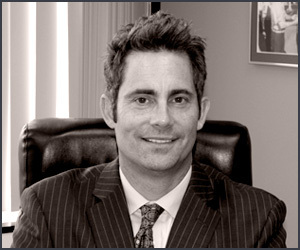 Orange County criminal attorney William Bruzzo has successfully defended these and many other assault and battery cases. I was charged with felony assault with a deadly weapon (Penal Code Section 245(a)(1) for striking someone repeatedly with a metal broom handle; I was also charged with felony vandalism [Penal Code Section 594(a)] for causing about $2000.00 in damages to a home I rented with other people [Maximum Jail Exposure was 3 years]. These events occurred while I was severely intoxicated. I am a professional and these charges could have had a severe impact on my career. My family hired Attorney Will Bruzzo to represent me due to his experience and good results with previous similar cases. Mr. Bruzzo negotiated with two different Prosecutors and had me consult with a licensing attorney to produce a letter to show the possible detriment to my career. In the end Mr. Bruzzo persuaded the District Attorney to DISMISS both felonies Penal Code Section 245(a) (1) [Assault with a Deadly Weapon] and Penal Code Section 594(a) [Felony Vandalism]. I pled ‘no contest’ to Penal Code Section 415(1) (Disturbing the Peace) and Penal Code Section 602(k) (Trespass) [both misdemeanors]; I was also ordered to do out-patient, Anger Management and Work Release instead of jail. I am very happy with this result and I would enthusiastically recommend Mr. Bruzzo for any Felony Assault with a deadly weapon [Penal Code Section 245(a) (1)] or Felony Vandalism [Penal Code Section 594(a)] case. I was charged with Penal Code Section 240 [Assault] and Penal Code Section 242 [Battery] my total exposure was a year in jail. Also, I want a career in law enforcement and such a conviction would have ruined my chances of such a career. My family hired Attorney Will Bruzzo to represent me. Mr. Bruzzo has obtained excellent results in similar cases and is very familiar with the courts and district attorney in Orange County. Mr. Bruzzo went to court without me and negotiated an agreement where I made a donation, gave DNA and attended anger management classes and the case was DISMISSED. I am truly grateful to Mr. Bruzzo as this result saved my career. I would enthusiastically recommend Mr. Bruzzo for any assault and battery or criminal case. Client was accused of Penal Code Sections 240-242 (Assault and Battery) in the Orange County Superior Court. The client had been previously convicted of the same charges a few months previous in the same court and the facts of each case were very similar. Attorney William W. Bruzzo used his familiarity with the Deputy District Attorneys in that court to negotiate an agreement wherein when the client completed anger management classes the case was DISMISSED. If not for Mr. Bruzzo’s ability to negotiate this agreement the client could have faced up to a year confinement on the new case AND jail time for the probation violation. Mr. Bruzzo’s skill kept the client out of jail and the conviction off the client’s record. Client was accused of Penal Code Sections 240-242 (Assault and Battery) out of the Orange County Superior Court, which carries a maximum sentence of 1 year in county jail. After one visit to court by Attorney William W. Bruzzo, the case was dismissed. Mr. Bruzzo’s familiarity with the local court and the District Attorney played a huge part in the successful outcome in this case. Client was accused of Penal Code Sections 240-242 (Assault and Battery) out of the Orange County Superior Court. The maximum punishment for this crime is 1 year in jail and three years of probation as well as a fine. Attorney William W. Bruzzo set to work negotiating with the District Attorney. In the end Mr. Bruzzo was able to get a deal where after the client attended an anger management class, the misdemeanor case was DISMISSED and the client pled to an infraction. Infractions are not probation offenses and thus the client was not placed on probation, had no jail time and he did not have a record of conviction for this offense since infractions are not reported to the Department of Justice. Mr. Bruzzo’s familiarity with the court made an enormous difference in this case.